TOP ShoreTel Connect Installation Gotcha’s ! Assume you have a call center that works three shifts, with 15 Agents per shift. In the Pre-Connect world, you would define 45 agents but you would only need licenses for 15. The Pre-Connect ECC license strategy was “concurrent users”. The new license strategy requires you to license 45 Agents. Additionally, all agents have to be named in the iPBX, costing you an additional “per seat” license for the newly named agents. Before, 45 agents could log into extensions Agent1 through Agent15 using their AgentID to differentiate them for reporting purposes. Wow! I hope you don’t find this out the hard way. 1 – Ever have to move route points from one server to another? You CAN NOT use the batch utility to do this and must remove and then reinstall each route point. So much fun on a large contact center deployment ( If you know SQL you can actually modify the configuration database to do this). 2 – Want to change IP address of your HQ? If you are using the new family of 400 phones, you will have to touch each phone individually and manually CLEAR the Configuration for the new Option 156 and DHCP values to take hold. How would you like to upgrade 3K phones across five times zones to learn that gem! 3 – Gee, would it not be nice to use DNS Name resolution in the Phone Setup? You could just change the IP address in DNS and update your entire deployment! 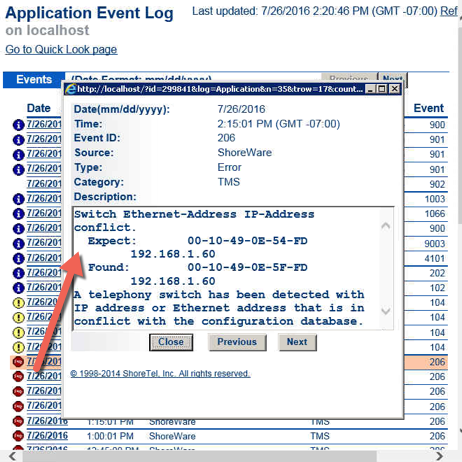 4 – Is it no time to get rid of the DB9 Serial IO cable for switch configuration? It is the 21st century and we sill do not have USB on ShoreTel switches? When was the last time you had a serial printer cable with an DB9 connector hanging around your tool bag? 5 – Setting up OBDC connectors still use 32-bit connector and do NOT support AD login. If you are connecting to Microsoft SQL, for example, if you use an AD credential your ECC Script will fail. 6 – Active Directory integration is a one way sync out of the box. Even adding the ShoreTel professional Service add on for AD will not solve all your issues! 7 – ECC Shifts will destroy you if you do not fully understand their use and impact. Create a Shift to close on of your Customer Service Queues at 1PM and end up closing your entire call center! (See this Blog entry). 8- You can not enter anything in the External number field for transfer a call but 9+1+NPA- NXX-XXXX. No 9+011-44-204-668-5000 for example. It will not work! Not for a call handling mode, CTI route point, External Assignment. Nada. no bueno, NFG! Send us your favorite Installation and Maintenance Gotcha’s and we will update the list and credit you for the contribution!